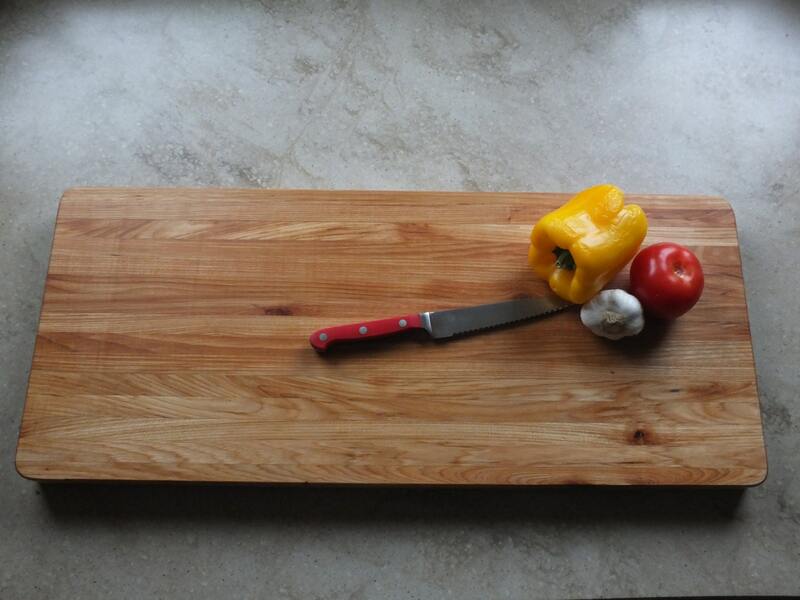 A gorgeous hickory cutting board! It will be a beautiful, useful addition to your kitchen! 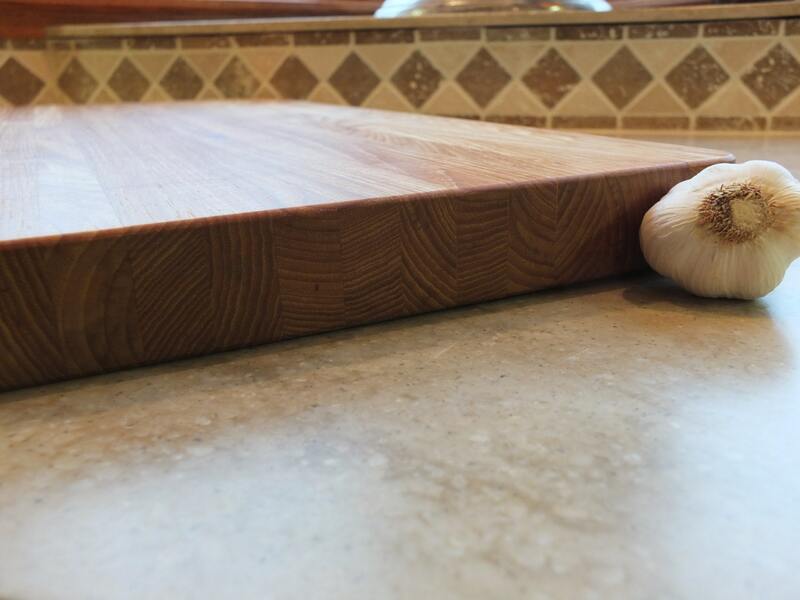 This edge grain hickory end grain cutting board is beautiful and durable. It last for years with proper care. 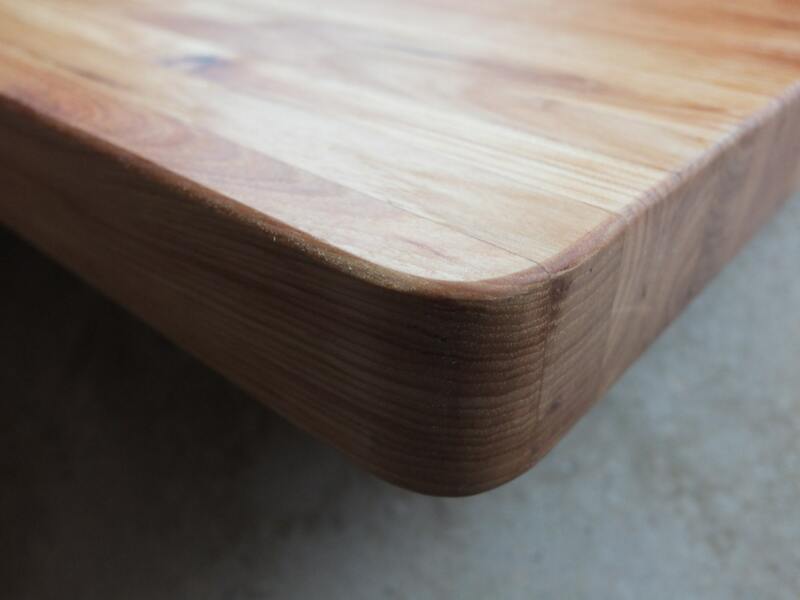 Item Size: 26 1/2" x 11 1/4" x 1"
Our cutting boards are finished by hand, given several coats of food grade mineral oil, then sealed with a hand-rubbed coat of our special beeswax board butter. 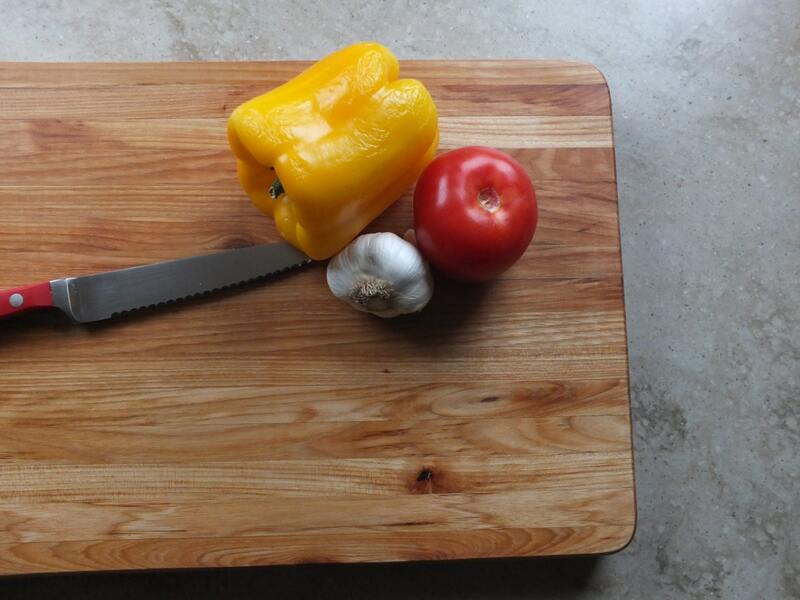 Both sides of this board can be used for cutting; use one side for meat, use the other side for vegetables. On request, we can engrave a small “M” in one corner of the board so you know which side to use for cutting meat.